This Sunday is the Fourth Sunday of Lent. 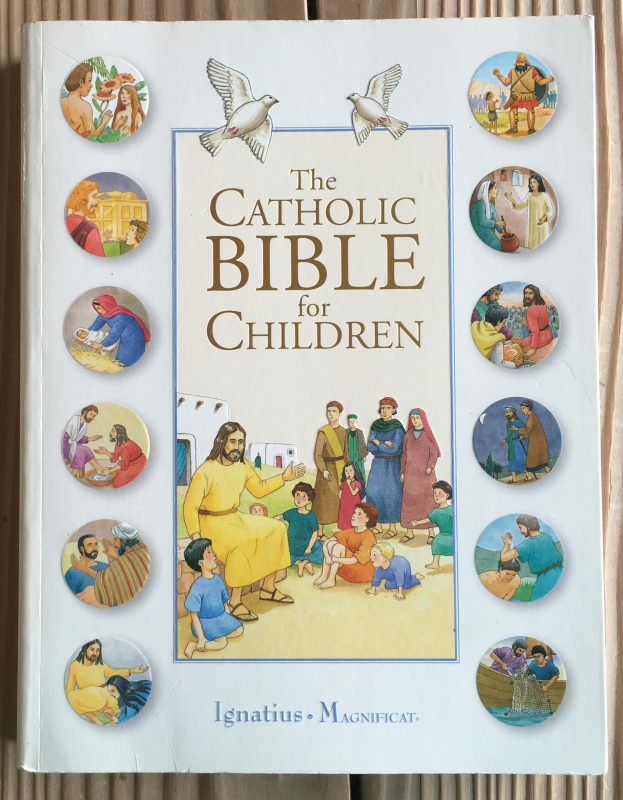 On SundaySchoolUpdates.com we are learning about Jesus through the “Mysteries of the Rosary.” This week is about “The Crucifixion.” “The Sorrowful Mysteries” of the Rosary are, indeed, sad and difficult to comprehend for young children. The Crucifixion is profoundly sad. 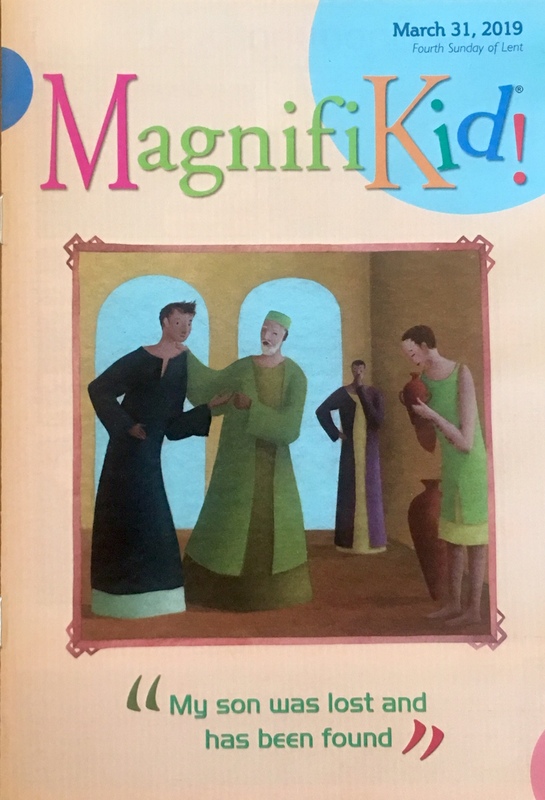 I have included an excerpt for the youngest children, as well as for older brothers and sisters. My hope is that your children will be prepared for Holy Week, knowing in advance what Jesus faces, and be ready to celebrate the Resurrection on Easter Sunday, full of joy and hope. The other, however, rebuking him, said in reply, ‘Have you no fear of God, for you are subject to the same condemnation? As Jesus hung on the cross, he cried out, ‘My God, my God, why have you forsaken me?’ Then he said, ‘Father, into your hands I command my spirit,’ and died. When the soldier pierced Jesus’ side with a spear to make sure he was dead, blood and water gushed out. “Then they made Jesus carry his cross to the place where he would be crucified.His mother, Mary, was there with a few other women and friends. They wept. Jesus died on the cross. 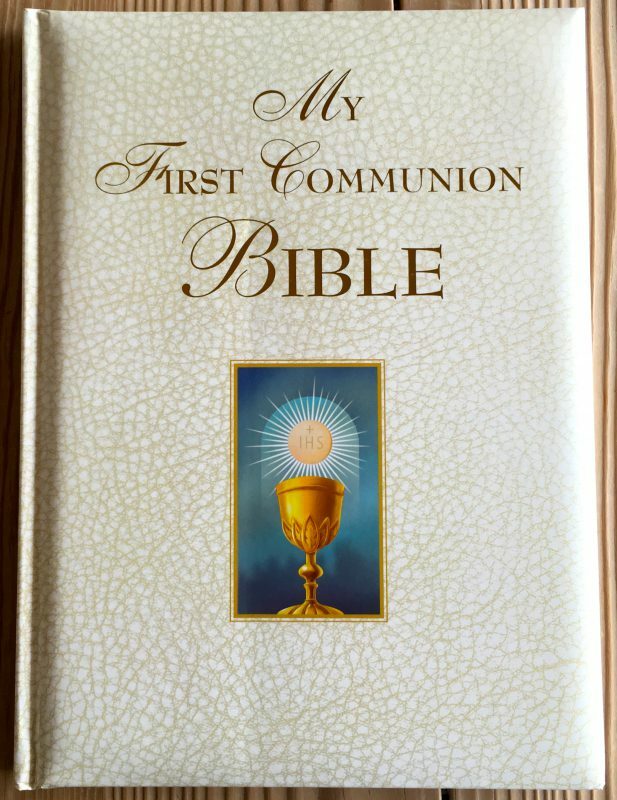 1″Were you there when they crucified my Lord? This week we are remembering the Crucifixion of Jesus, along with two robbers who were also crucified. One robber said to Jesus, “Jesus, remember me when you come into your kingdom.” Jesus tells him, “This day you will be with Me in paradise.” Therefore, we have three crosses in our art project. 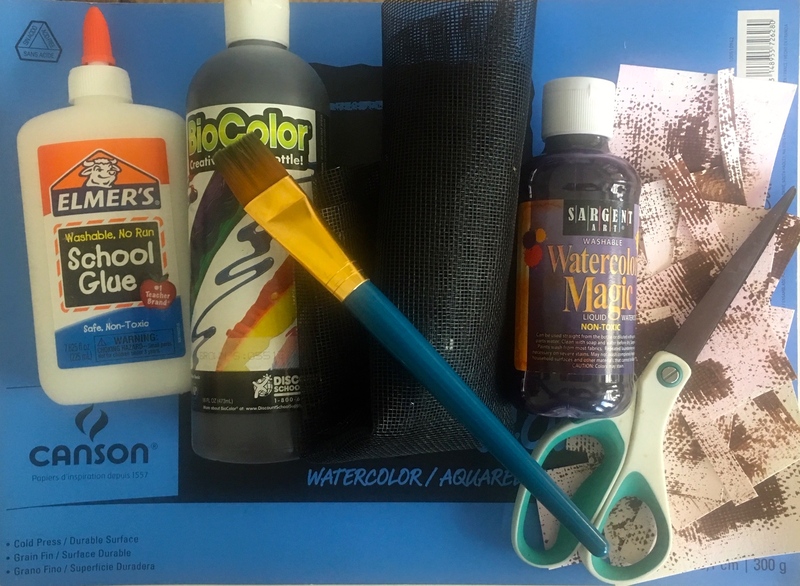 You’ll need two sheets of watercolor paper, watercolors and brushes, watercolor paints– either dry “cakes” or liquid watercolor– scissors, and liquid school glue. Invite your child to color one entire sheet of paper with purple, blue, or gray. Have your child paint swirls and lines with brushes or even fingers, for texture and interest. This will be the background for the crosses to be glued onto. For sheet number two, I used a piece of screen material and painted over the screen on top of the paper in brown or black. (Tule would work, too.) Trace or draw three crosses on the back of the dry brown painting. 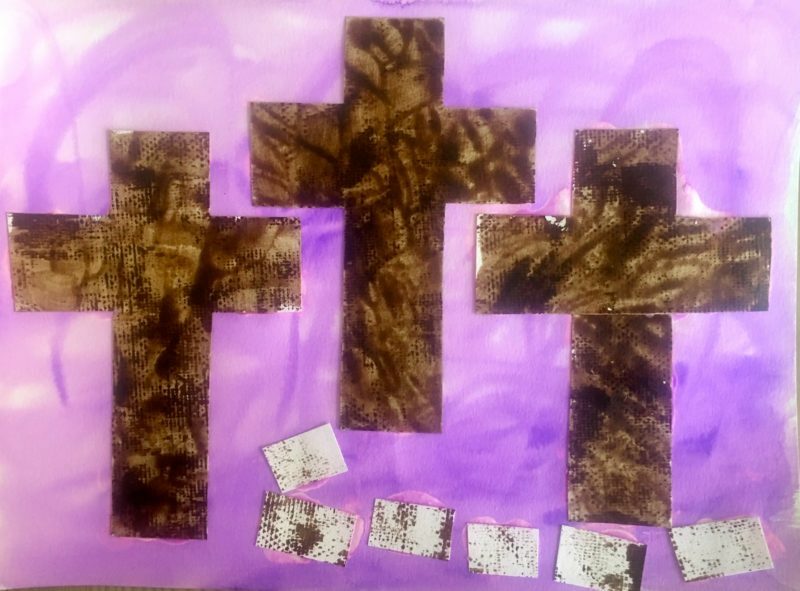 Cut them out and use the glue to paste down the crosses onto the purple background. (I decided to add a coat of brown tempera over the crosses.) Use the left-over painted paper to cut “steps” to make a path to the cross of Jesus. Put a non-stick cutting board on top of the crosses and steps to help them lay down flat as they dry, and not curl up. After a couple of hours, remove cutting board and enjoy the artwork. If the glue of the crosses and steps is still a bit wet, air dry. Then your child will have a lovely painting to proudly display. “Jesus continued with this parable: ‘A man had two sons. The younger son asked for half of his father’s wealth and then wasted all of it partying. When a famine struck, the son had nothing to eat, not even animal slops. Finally, he decided to go home and humbly beg for his father’s forgiveness. But while he was on the road, his father caught sight of him. Writing Activities for kids and families from MagnifiKid!